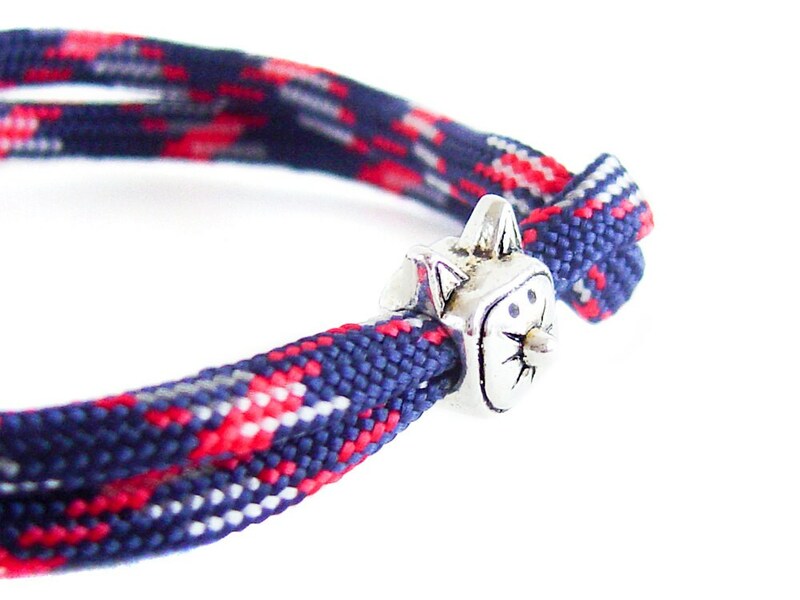 Unique in pet lover gifts, we created this pet bracelet as a cat bracelet of rope and a metal bead. 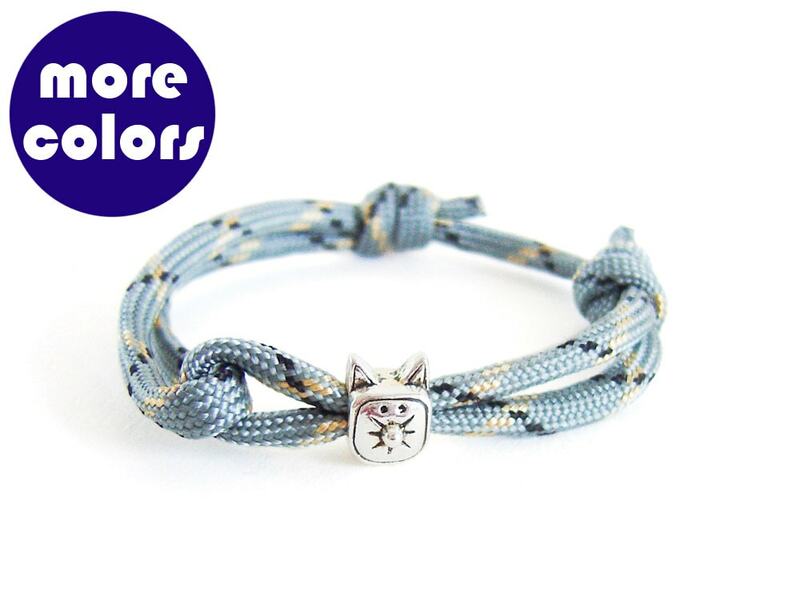 You can order the animal bracelet in 4 colors - green, grey, dark or light blue. For decorating this cat jewellery we used a cute metal charm with cat, that looks the same in front and back. One size fits all. It will fit perfectly to men and women, because you can adjust its length when you slide the knots. 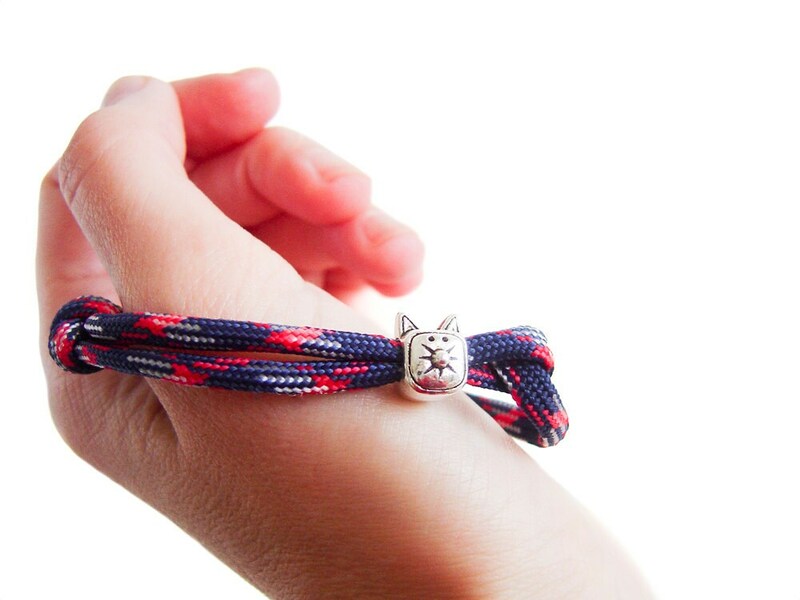 The diameter of the cat bracelet, varies from 14 cm (5 1/2") to 27 cm (10 5/8"). 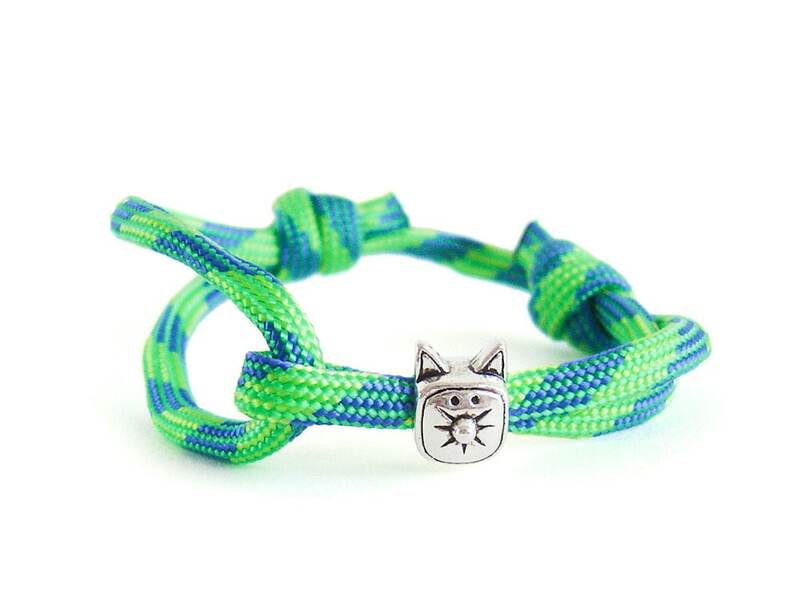 This pet bracelet is nice pet lover gifts that can be used everyday, all day long. You can wet it and you will never afraid that you can tear it. - of the pet - cat bead - approximately 1 cm (3/8") to 1 cm (3/8") to 1 cm (3/8"). - Used rope is 550 paracord with diameter 3 mm (1/8"). 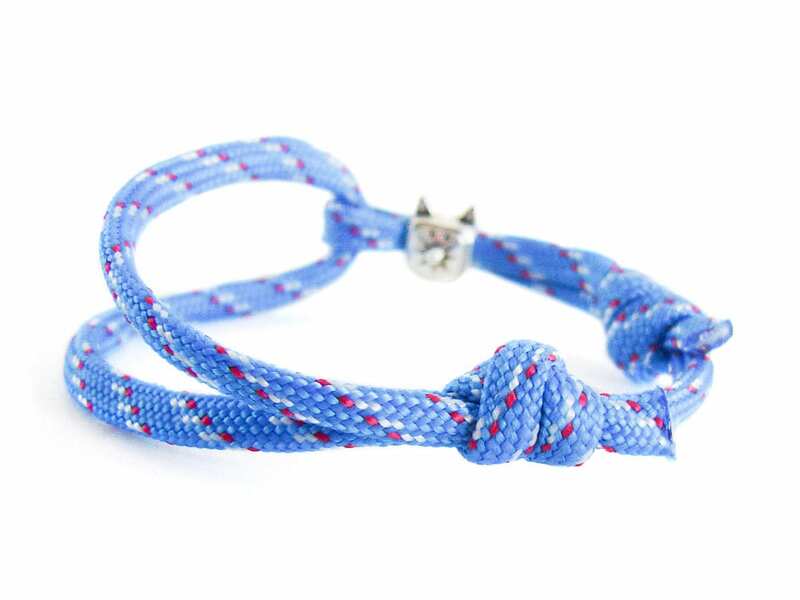 If you order, you will receive the animal bracelet from the pictures.